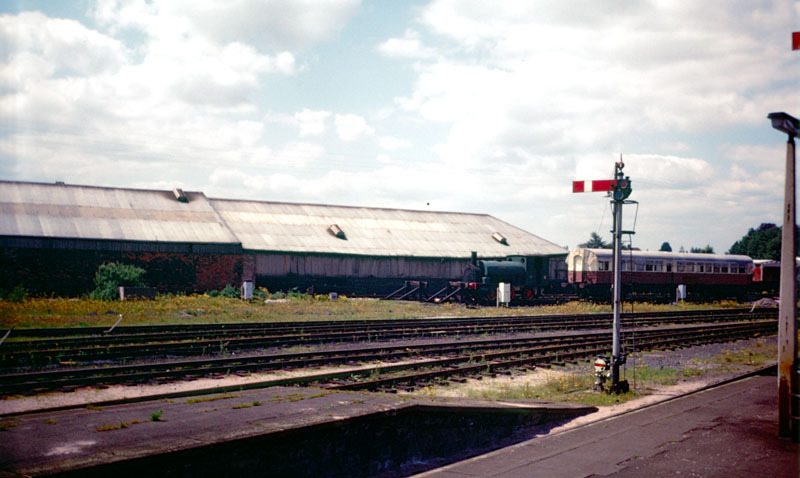 The up innerhomes and down starters gantry at the country end of Taunton station - it had lost a few dolls and arms in its later years - and West Station signalbox. 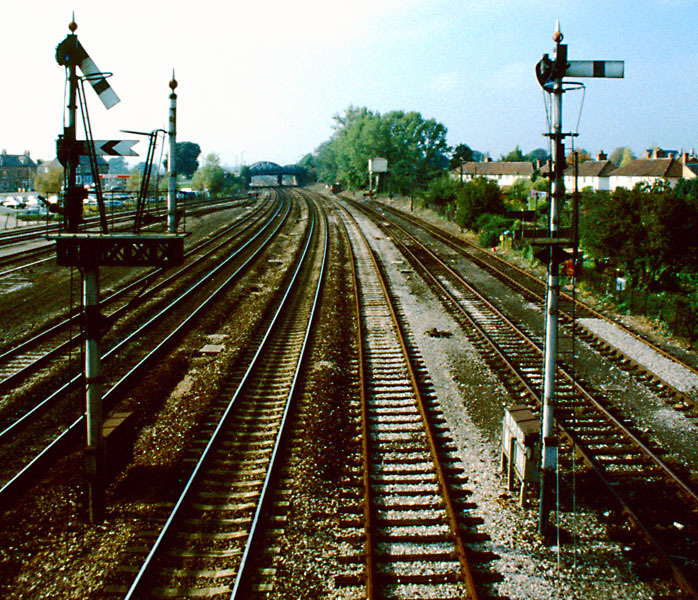 The basic layout here was main and relief lines through the station in each direction, plus various bay platforms (the one on the left had been taken out of use by the time of this visit). This view from a slightly different angle shows what then remained of the down side bays and local goods lines. 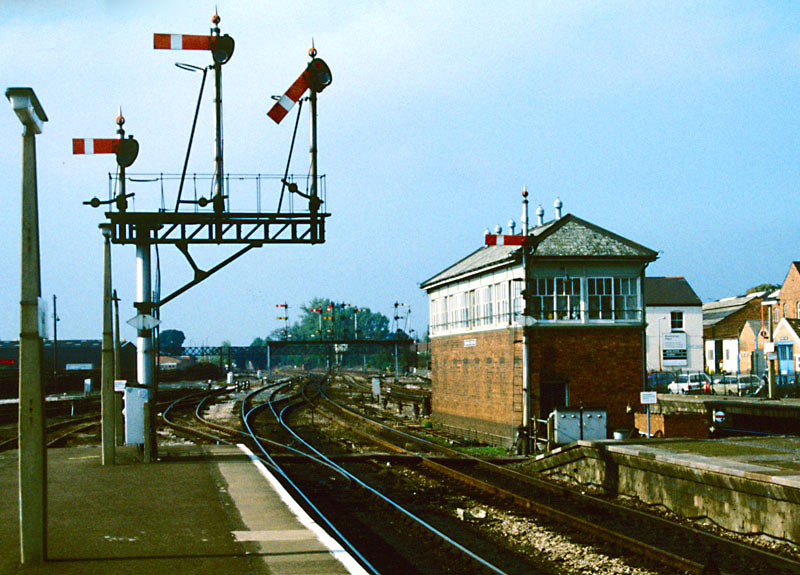 The down homes, from the down relief platform, and the signalbox. The down main is the line through the opposite platform. 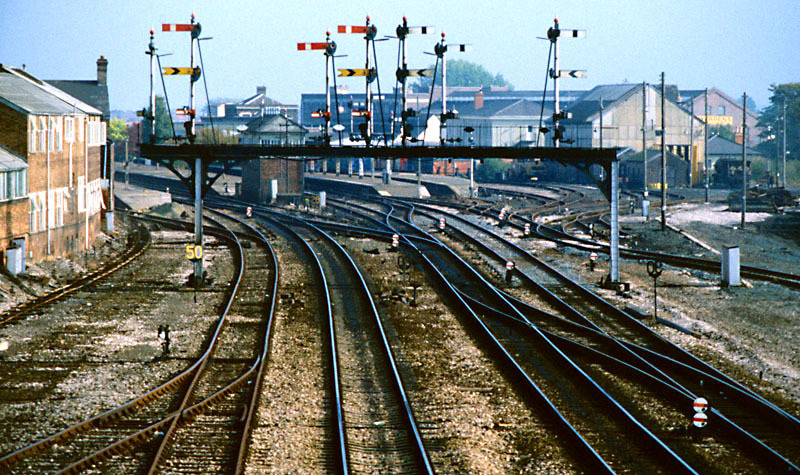 A train has been signalled from the relief platform back across to the main line. 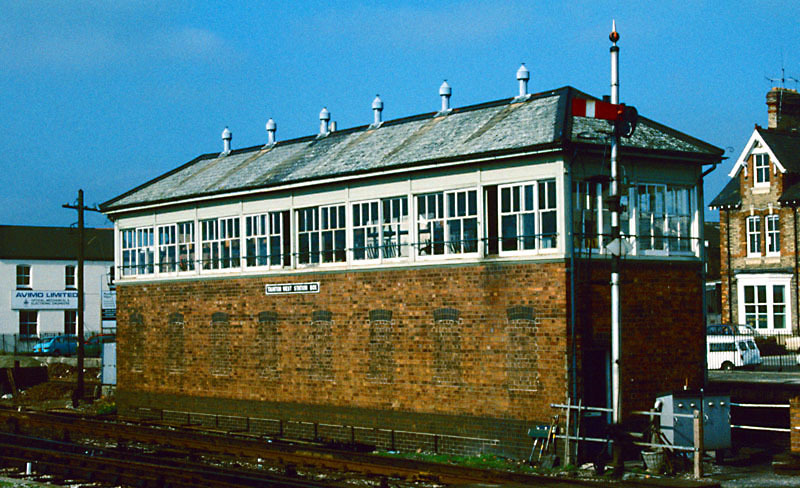 The signalbox, with the down main home in front. The gantry as seen from the down relief platform. The up homes can also be glimpsed behind the footbridge. 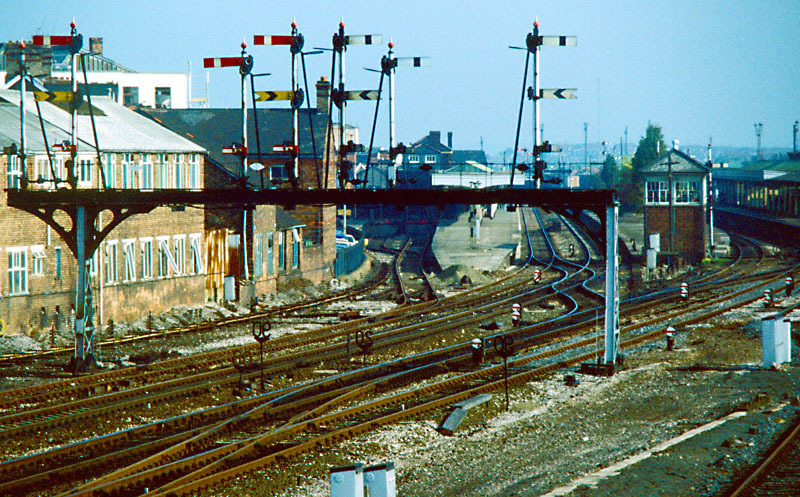 The up homes, with East Junction's outer distant beneath the main line signal. 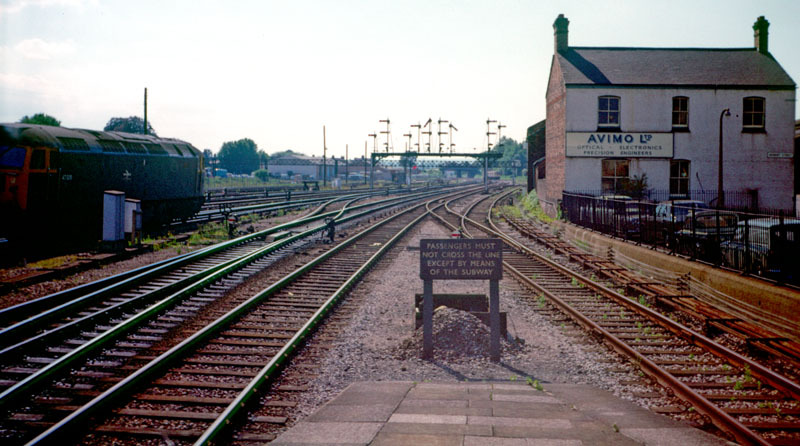 The up relief had in fact not only been taken out of use prior to this, but partially lifted between here and Silk Mill Crossing, though for some reason its signal remained. The down bay home, when it still existed. 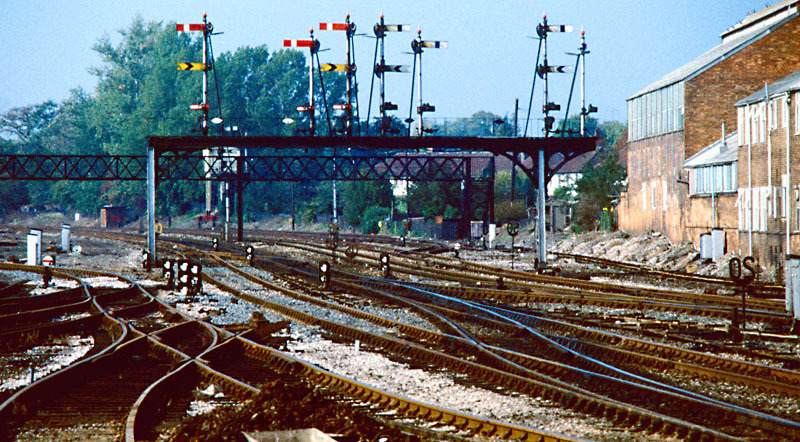 An earlier view of the gantry when it still had more of its arms. Unfortunately I hadn't discovered telephoto lenses when I took this!